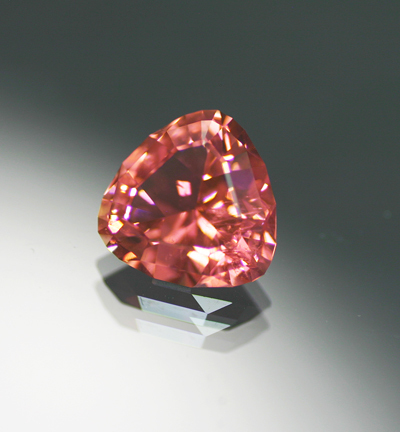 A large and precision cut example of this distinctive Tourmaline color that is a pleochroic mix of slightly brownish pink and purple with a faint orangish modifier. The overall effect is something akin to a dusty rose color. The cutting simply couldn’t be better and the stone sparkles even in low light. Lovely.